Home Experts How do I know if my baby has an eyesight problem? Research has shown that 20% of toddlers under the age of four do in fact suffer from vision problems. Much like children need to learn to walk and talk, they need to develop their visual acuity before they can make sense of their surroundings. But by the time a parent usually notices their child has a visual problem, the child’s visual acuity has reduced by more than 60%. “Early detection of visual problems, eye conditions and early intervention is therefore critical in babies and young children”, says Inge Loubser, an optometrist of Mellins i-Style. Although a newborn’s eyes are able to see as soon as it is born, vision is not nearly as advanced as that of an adult. At this stage your baby’s eyes are still evolving and cannot fully identify surroundings, they need to ‘learn’ how to see. 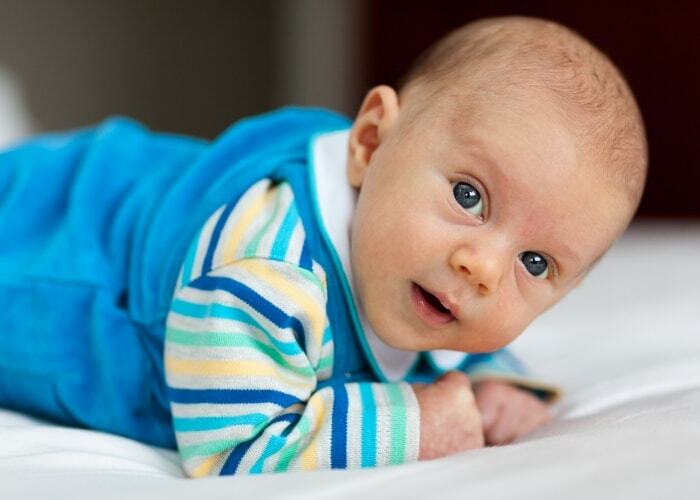 Newborn babies first have to develop their own visual acuity, i.e. the skill that will allow their eyes to recognise certain details and to identify an object. 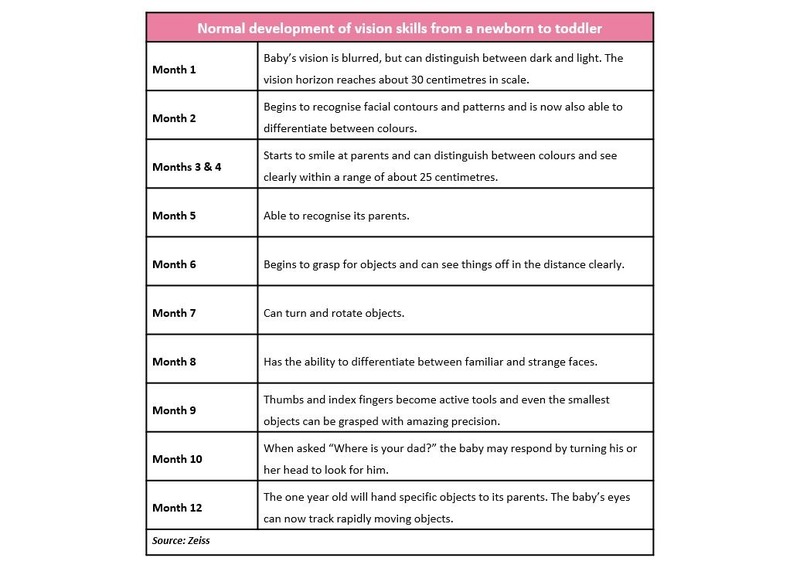 Poor vision and impaired eye development, however, can severely delay your baby’s development and progress. Early detection of any visual impairment is paramount in order to ensure that babies and toddlers are able to experience 20/20 vision as soon as possible. If you suspect any significant developmental delays, it is essential that you book a professional eye examination for your baby or toddler. A newborn baby’s general eye health must be checked by a paediatrician or family doctor (general practitioner) at the hospital’s baby clinic. High-risk newborns (including premature babies) with a family history of eye problems or obvious eye abnormalities must be examined by an ophthalmologist. “Today we are seeing many more infants with Retinopathy of Prematurity (ROP) than before and this is likely to continue as neonates of very low birth weight are routinely kept alive. Infants born to mothers that were substance abusers during their pregnancy, are also at an increased risk of prematurity and therefore also more likely to develop ROP,” says Inge. ROP is a retinal vascular disease and is associated with supplemental oxygenation. It has subsequently led to a reduction in the frequency and degree of supplemental oxygenation given to premature newborns, which decreased the incidence of ROP, but led to increased morbidity and mortality. The onset of ROP is likely to begin 32 to 42 weeks from the time of conception and the child should therefore be examined shortly after this time by a paediatric ophthalmologist. It is necessary to follow infants at risk of ROP for six months or longer after birth. It is often difficult to perform an adequate examination on a tiny, crying infant. Eye drops are instilled to dilate the newborn’s pupil (the ‘window’ into the eye). An indirect ophthalmoscope is used, which has a special lens that sends a bright light into the eye, enabling the doctor to examine the fundus (the interior lining of the eyeball). During the first year, all infants, as part of a routine examination, must undergo an eye health screening test by a paediatrician or family doctor.